We’re particularly proud to have Belgian fashion designer Dries van Noten in a rare interview for our 20th anniversary issue. The acclaimed designer holds a unique position in the world of fashion, not only due to his extraordinary sense for colours, fabrics and combining modern elegance with ethnic influences, but also his uncompromising and highly personal approach within a globalized industry. With mono.kultur, Dries van Noten talked about the thought process leading to his current collection, his idea of beauty and the weather. 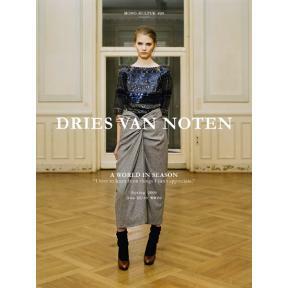 This issue comes in no less than four colours, contains for the first time 44 pages and features the highlights from the past four seasons by Dries van Noten.